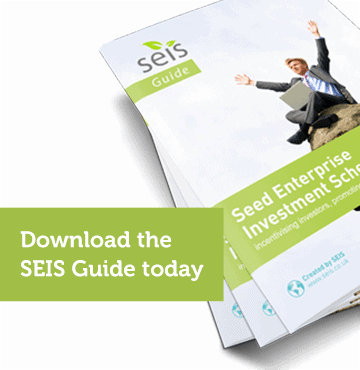 The Seed Enterprise Investment Scheme (SEIS) is just one of several venture capital schemes laced with tax breaks for investors. The VCT universe offers incentives mainly to professional investors looking to stake significant amounts of cash – typically several hundred thousand pounds or more. SEIS offers tax break to investors with up to £100,000 to stake each tax year – the lowest amount anyone can invest in one of the government-backed schemes. The Enterprise Investment Scheme (EIS) and Social Investment Trust Relief (SITR) encourage investments up to £1 million. In return they offer 30% income tax refunds, compared to 50% from SEIS. All gains on returns from investment are exempt from capital gains tax providing income tax relief was received and a clutch of other qualifying rules are met. HM Revenue & Customs closely polices SEIS tax relief claims and continually tries to nibble away at investor rights. In recent years, taxpayers have challenged HMRC in court over rejection of tax relief claims. HMRC has faced criticism from judges for misinterpreting the law and publishing misleading guidance online. In one case, HMRC refused tax relief claims on investments of £20 to £399, arguing they were too small to have a reasonable financial impact on the business, but lost the case. Another point of conflict between investors and HMRC is the paperwork for claiming tax relief. Although companies win SEIS pre-approval from HMRC to reassure investors joining the scheme that they will qualify for tax relief, if the company misfiles SEIS paperwork, the investor cannot claim any tax breaks. In the case of Innovate Commissioning Services, the company had SEIS approval but filed a compliance certificate for EIS, which meant the shareholders did not qualify for SEIS and had reliefs applied at the lesser rate that comes with EIS. Investors who take their eye off the ball and do not keep on top of SEIS admin can stand to lose significant amounts of money. A point to watch is that companies file their SEIS documents on time with HMRC. Investors cannot claim a tax refund if they do not have a SEIS3 form from the company to accompany their tax return – and if income tax refunds are not claimed with a SEIS3, CGT tax breaks or loss relief cannot be claimed further down the line.